The best way to find out whether you have bad breath or not is to sniff your own breath after cupping your mouth with your hands. There’s another easy self-test. Just lick your wrist and smell it after a few seconds when it has dried. Well, blame it on Poor dental hygiene, Dental caries, Dry mouth, Certain foods like onion and garlic, Smoking, Gum diseases, Oral thrush, Dentures, Sinus and other respiratory tract infections. The simplest one could be to eat aromatic spices such as cloves, fennel, cardamom, etc. to refresh your breath, especially after having an odorous meal. Take a cup of water in a pan. Boil 1 teaspoon of cinnamon powder in it. You can also add bay leaves, which is also known as tej patta and cardamom (elaichi). And use this solution as mouth wash.
Take a cup of water in a pan. Boil 1 teaspoon of fenugreek seeds in it. Finally, strain this solution and drink this fenugreek tea. 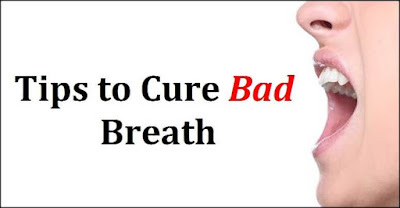 This will help you eliminate your bad breath caused by catarrhal infections. Take a daily dose of yogurt, it helps keep this problem at bay.